WeChat QR Code is one of the most know problems of WeChat. Especially for those who are not installing the latest Java version to their devices. We got a question from one of our visitors about blank QR Code page on WeChat. We will answer her on here and also provide some solutions. Question Hi, the QR code scanner will scan the QR code but the page then appears blank, i.e. won’t load. I have tried this on several devices – Google pixel phone, Oppo and Samsung. Same result. I have tried using a different networks. Same result. I have tried using a different QR scanner. This works, it loads the page. 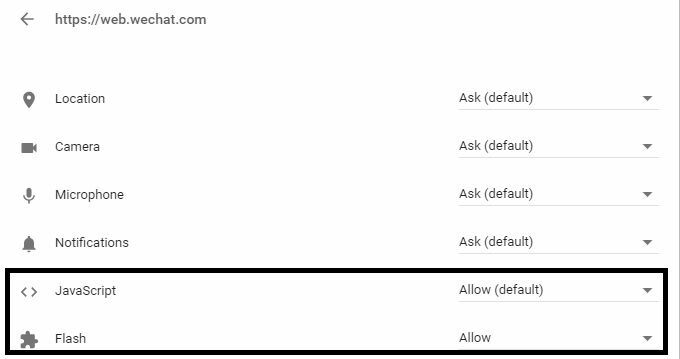 Please do the steps below if you are even using WeChat PC. Clear history and cookies on Chrome browser. Click on the secure text which is located near of the web address and then click on Site settings. 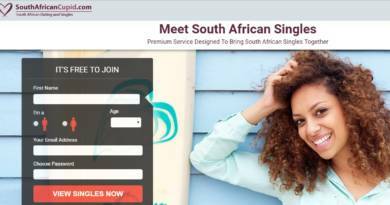 Now you are done with site settings. Before trying to run QR code, do the following steps below. You will need latest version of the Java to run WeChat Web/PC or other products which you can enter with QR on your device. You will need to download Java from here to make it work on your device. Please, also update the Java from the same source. 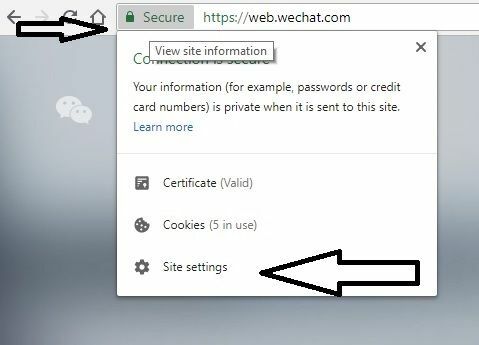 If you have also setup site settings very well, deleted all history and cookies with Chrome browser and using the latest version of Java, this problem can occur with a problem of WeChat. We have tried to enter WeChat Web recently and got some problems with connecting to the website. We hardly connected to the website with QR Code. You can try reach to WeChat support for blank QR code page. Having the same problem, these solutions worked for anyone?